Also known as a "Police Book," our hard cover version of the federally required record book offers a simple method for keeping track of your transactions. 3 records per page, 256 pages, for a total of 768 records! 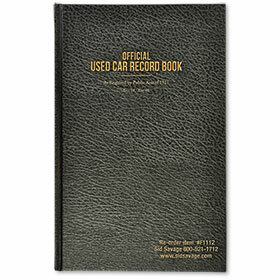 Used Car Record Book has a black cover and is 8 ¾" X 13 ½". 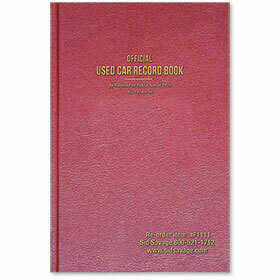 Used Car Record Book also available in maroon, part# 1300080280. Please note: This book is not approved for use in the state of Massachusetts. 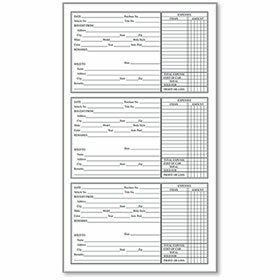 Book is 8 ¾" X 13 ½"
Very fast shipping carefully packaged, and they always have what you need. Love shopping there. 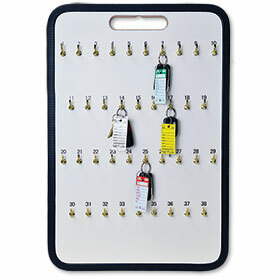 As a first time customer, I found the website easy to navigate,and to order. Shipping was fast, received the order within a week. I was impressed. Will certainly order from Sid Savage again in the future. 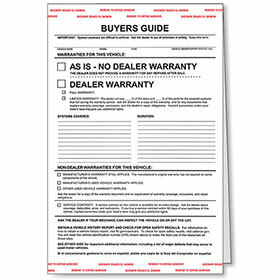 We ordered our new dealer book and it was in hand within a couple of days... very expedient! Thanks Sid & Company!! !